#47 is a fantastic opportunity to invest in a quality development in a major UK city, Leicester. Take advantage of a market which is structurally under supplied, where demand is high and rents are rising. This is one of the safest, affordable investment opportunities available, in an excellent location and belonging to an asset class that has out-performed all others for at least 5 years. 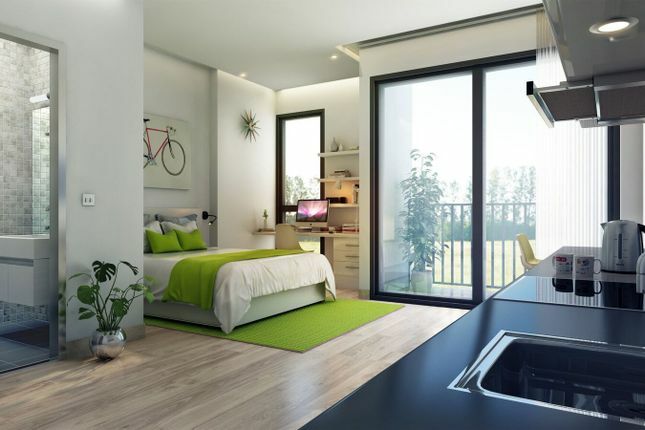 Spread over a brand new 7 storey building, each studio and flat will be completely self-contained, with private kitchens, bathrooms, and will be fully furnished/finished to an extremely high standard. They even each have their own balcony! “#47” will offer residents superior communal facilities, including a ground floor reception, laundry room, roof terraces, cycle parking, a fitness room, a communal lounge/games room and a garden/recreation area! The development will also feature high quality finishes and energy efficient technology, ensuring the ultimate experience in contemporary living for discerning residents and long term sustainability. Aronex Developments have sold out and delivered 5 projects to date. This is the 2nd development Aronex have launched in Leicester city. Property descriptions and related information displayed on this page, with the exclusion of Running Costs data, are marketing materials provided by Sand Royale, and do not constitute property particulars. Please contact Sand Royale for full details and further information. The Running Costs data displayed on this page are provided by PrimeLocation to give an indication of potential running costs based on various data sources. PrimeLocation does not warrant or accept any responsibility for the accuracy or completeness of the property descriptions, related information or Running Costs data provided here.